When we think of Bordeaux we inevitably think of the Crus under the 1855 Classification and we also think about how expensive they are. This invariably prices out people who love their wine but have budget constraints (i.e. 99.9& of us) but that need not happen; there are alternatives if you love wines of that iconic region. As the Vins de Bordeaux site states "the Cru Bourgeois wines should be considered best buys when you compare the quality to their price.These are wines to savor every evening." 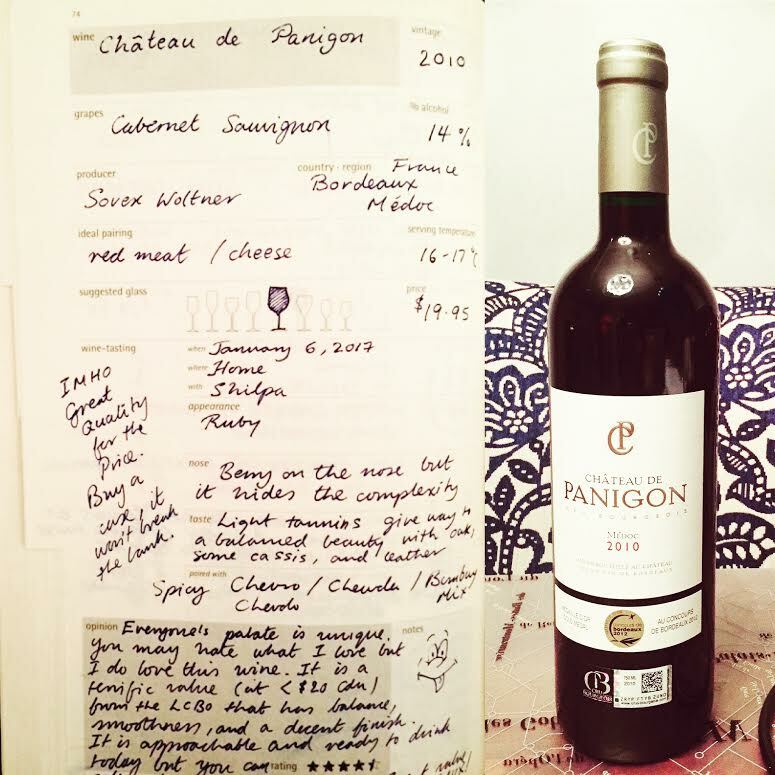 The Château de Panigon 2010 vintage is a good example of Cru Bourgeois wines. Hailing from Médoc, it is an apt expression of a balanced wine that pairs superbly with food and is a perfect antitode for these cold winter nights. You can pick it up from the Vintages section at your LCBO (Vintages #348250) for $19.95 per 750 mL bottle while quantities last. You can also pick up the 2011 vintage 3 dollars more per bottle. Our initial thoughts on the 2010 are below -- we hope you enjoy it as much as we did.